Let me start off by saying that I am a complete makeup lover. It is more than just making myself look better, but its also my art. And all artists need the right tools to create their works! I have many brushes in my collection, some that range from dollar store finds, all the way to luxury high end brands. You could call me a brush expert haha! 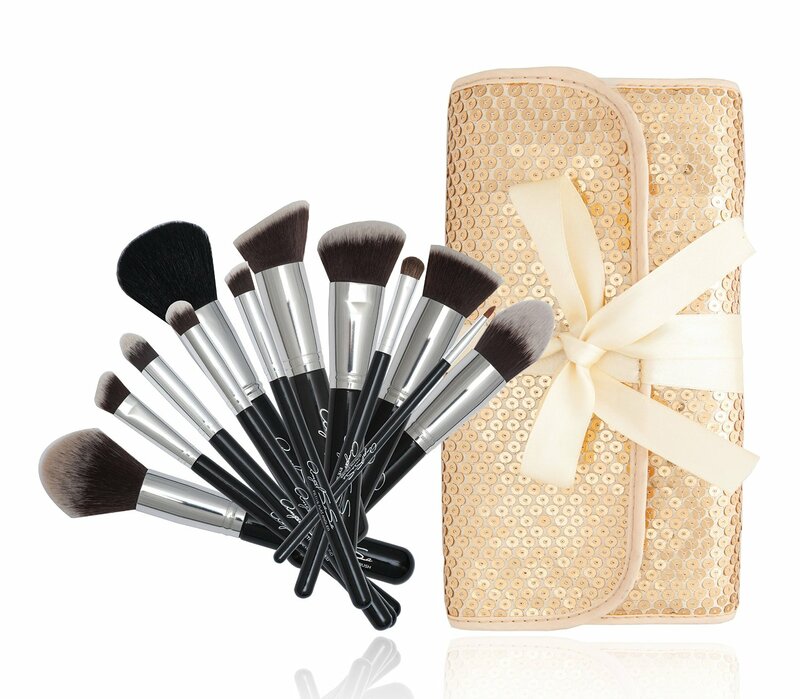 This brush kit from AngelSaSa is perfect for those who are new to makeup, or seasoned vets like myself. 12 beautifully designed brushes that are very well made, and have a attractive sleek look to them. 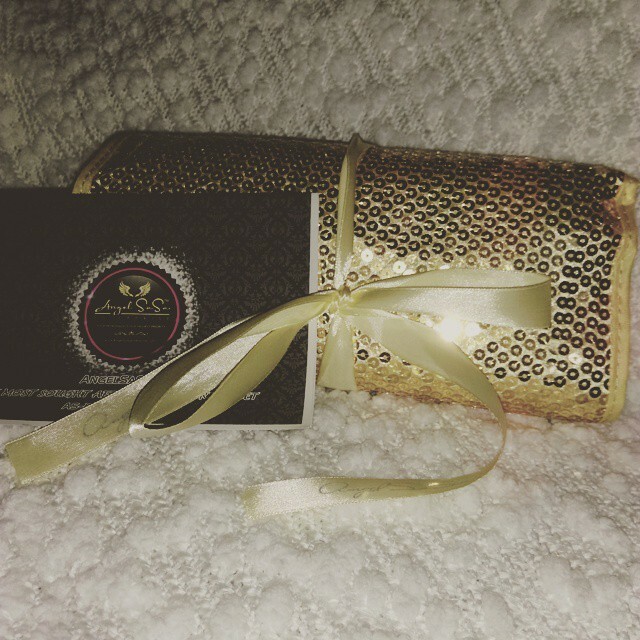 And they come wrapped in a beautiful gold brush roll. Simply stunning! 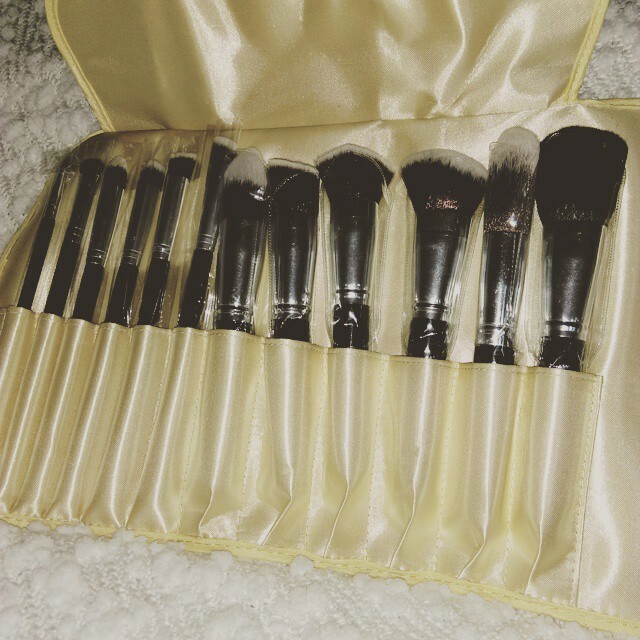 I have been using these brushes for the past week exclusively to apply all of my cosmetic products. Yes, that's right, ALL of my makeup. From my liquid foundation, blush, bronzer, powder, concealer, eye shadow, eye liner, and primer. There is a brush that works for each product. My personal favorites are the Powder Brush, which not only is incredibly soft, but it buffs out my powder wonderfully. Next I love the Tapered Kabuki brush for my liquid foundation, it gives me such a great application and beautiful finish. My 3rd favorite is the petite flat angled brush which works wonderfully with my cream concealer. 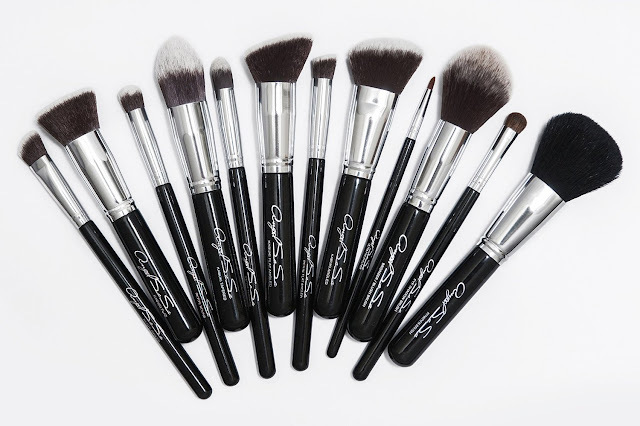 All of the brushes are fantastic in applying cosmetics. I have washed these brushes, and I experienced very minimal shedding which is normal with new brushes. The brushes are very easy to clean, and do not take too long to dry either. I will admit that upon first arrival, I thought that some of the "petite" brushes were quite large, and too large to use around the eye area. However after giving them a shot, I have found that they work perfectly fine, and are just the right size! Overall I have to say that this brush kit from AngelSaSa are outstanding! They are very well made, great quality, offer so many options, and are simply well worth a purchase! I cannot give these a high enough recommendation! I'd give them a 10 star rating if I could!